The overall theory of acupuncture is that proper physiology and health depend on the circulation of Qi (life force energy) through a network of channels called meridians. This meridian network connects all parts of the body, providing communication, balance, regulation, and thus proper physiology. Pain and dis-ease result when the flow of Qi throughout the body is disrupted or blocked. This blockage of flow can be caused by many things, including stress, overuse, improper body alignment or posture, improper diet, hereditary influences or patterns, trauma or injury. 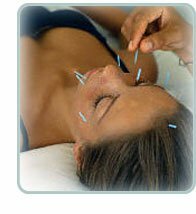 Stimulation of the appropriate acupuncture points helps to restore the life force energy or “Qi” back to it’s natural flow thus restoring health and balance to the body while relieving pain and other symptoms. I like to use the analogy of a garden hose….most of us have had the experience when watering the garden…when the water is flowing the plants are happy and everything grows…but when the waters stops you must follow the hose until you find the kink…by un-kinking the hose, you restore water flow and the plants are happy again… Same is true in the human body…When there is pain or disharmony in the body, an acupuncturist will look for the “kink” in the line of communication and try to restore flow so that the body can heal. 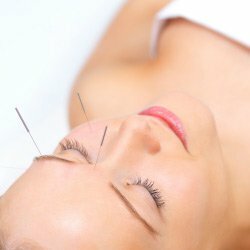 As Acupuncturists, we are helping the body work it’s magic by restoring the natural flow or circulation to the body using tiny needles to conduct the life force energy.